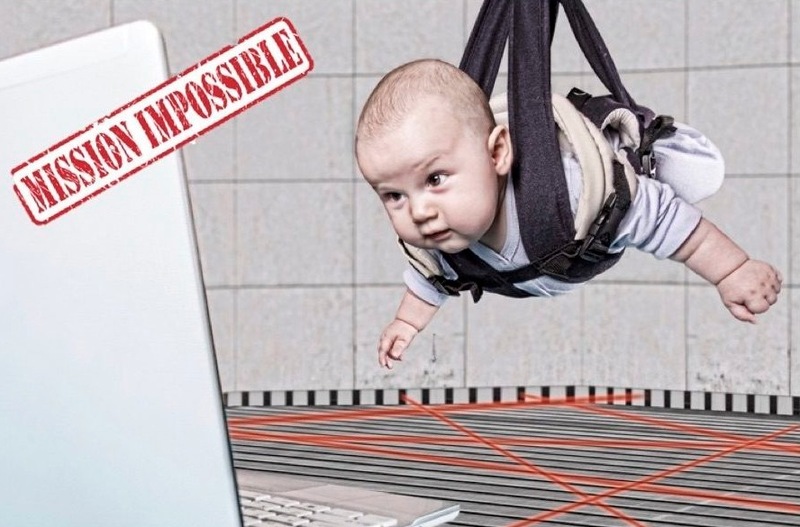 Tom Cruise ain't the only one dealing with some impossible missions this summer! If you're like me, you're probably dealing with your own mommy missions...like trying to get my kiddos to sleep when they've gone past the tired stage and enter the "overtired" danger zone. This week's mission, should you choose to accept it, is to check out some tips on how to wind your kids down using imitation tricks, an awesome National Geographic article on why you should never go to bed angry, a podcast episode about postpartum anxiety, a wonderful Medium piece about fostering your child's independence, and, finally, a super cute Etsy shop that will have you believing in mermaids and unicorns. This newsletter will self-destruct in three...two...one...let's go! Trying to get your little one in the mood for sleep? Are they running around like a crazy person right before bedtime? Well, chances are your little is W.I.R.E.D. (aka overtired) and catching a second wind. Luckily, I've got some ways you can teach your kiddo to calm their bodies and relax their minds using the best teacher in town...you! It's going to take some time and consistency, but if you put in the effort to show your little one (instead of telling them) how to relax, they'll copy your every move in no time. And if you're working through another impossible sleep mission and have additional questions, I've got ya - go here to schedule a FREE 15-minute call with me and we can chat about it! Do you know the cover of the August issue of National Geographic is about SLEEP!?! Clearly, I'm geeking out. Check out this month's featured article to learn why they say never go to bed angry, why sleeping after a major event is more likely to turn the experience into long-term memories, and a lot more. 3. POSTPARTUM ANXIETY - WHEN SHOULD YOU GET HELP? Anxiety and fear are common feelings among us moms. Throughout my pregnancies I spent more time than I'd like to admit on agonizing, worrying and overthinking certain situations. But where's the fine line when postpartum anxiety goes from a normal mommy moment to a time to seek help? In this great Mom & Mind podcast episode, Dr. Carly Snyder discusses what's common and what's cause for concern and treatment. It's well worth a listen for every new mommy. When I was growing up I looked forward to the summers as a chance to explore, take chances, and follow the whims of my imagination. The best part? My parents let me. As this fantastic Medium article points out, "Our parents weren't neglectful, they were just a lot less hovering than parents are today." In the age of endless entertainment noise and overbearing parental helicoptering, this article can help you find the balance to allow you child to roam, discover themselves, and take them to places their screens could only dream of. This week I want to point you to one of my favorite whimsical Etsy artists - All Hail Design. Hailey's adorable prints, which range from unicorns, to cars, to succulents, provide that extra little something to take your kiddos room to that fantastical next level. And, bonus, she has greeting cards too! Be sure to pick one up for your next wedding or baby shower!